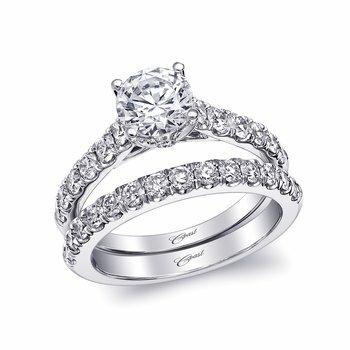 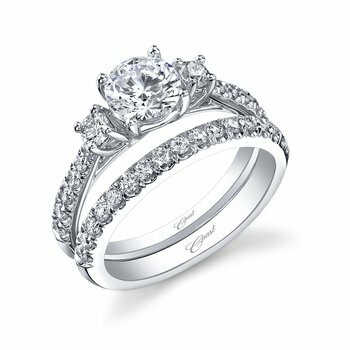 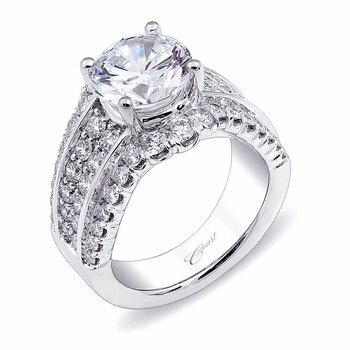 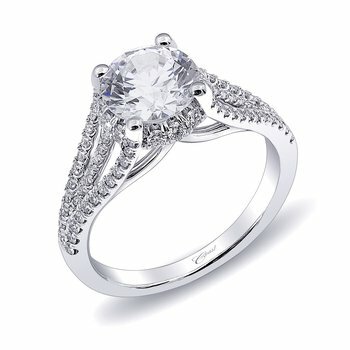 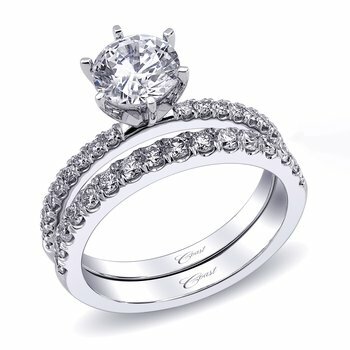 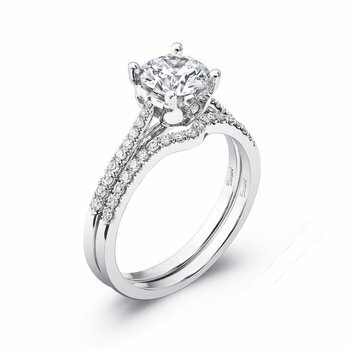 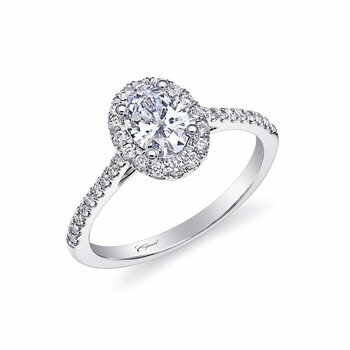 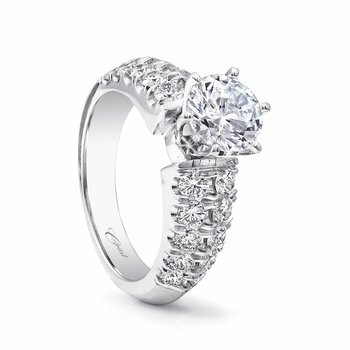 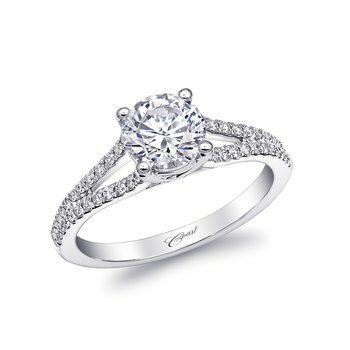 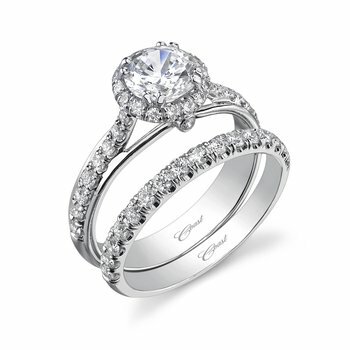 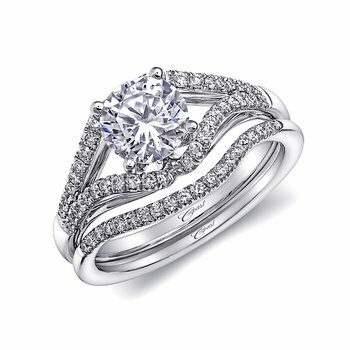 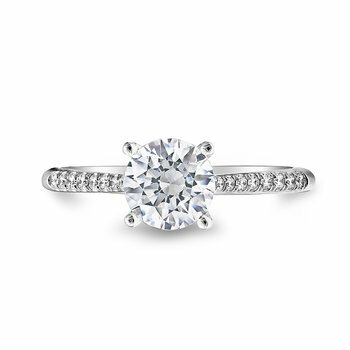 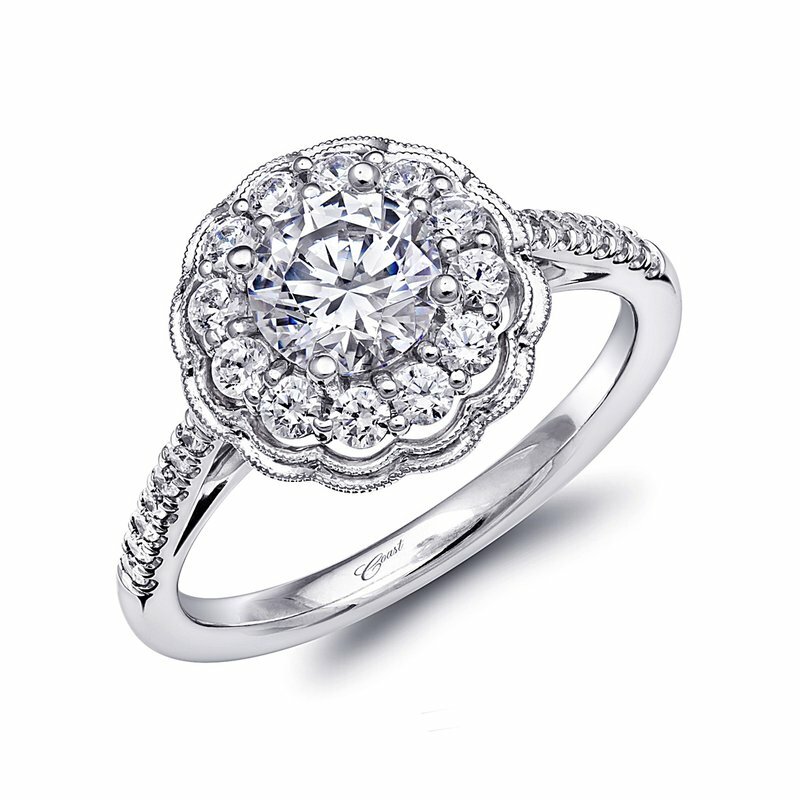 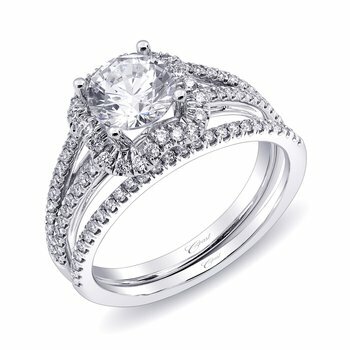 Elegant and romantic, this engagement ring highlights a floral inspired halo framed with milgrain edging. 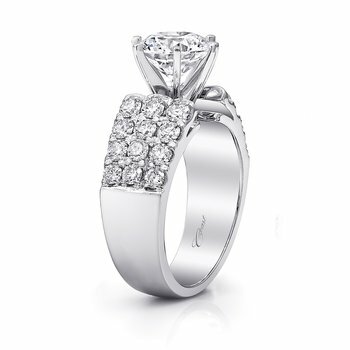 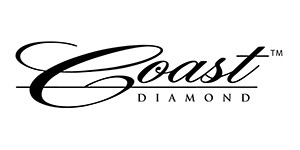 Diamonds adorn the shank adding more sparkle to this captivating piece. 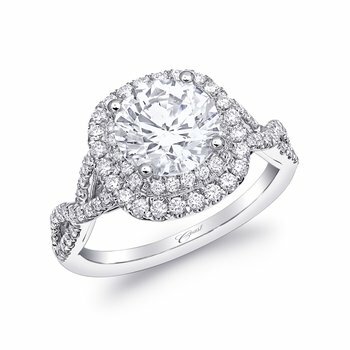 Shown with a 1 CT center stone.